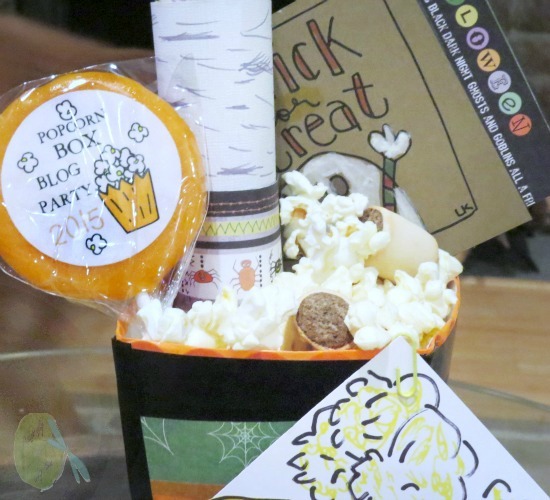 My dear friend from Laura Kelly Designs asked me to participate in this years popcorn party. Of course doing a fun project with the happy-go-lucky Laura is a resounding YES! Since my kids are adults I decided to make my treat for my constant side-kick Cricket. I call her my little girl, she is my 4-year-old Golden Retriever. Even my husband Prince Charming walks in from work and proclaims, "Hi! Little Girl!" No, he is not talking to me. LOL! 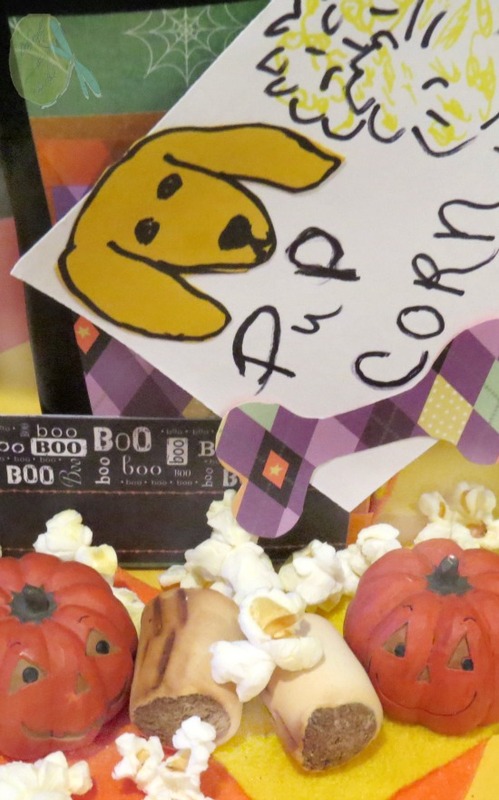 My Popcorn treat has gone to the dogs AKA "Little Girl" or "Cricket"
Laura Kelly Designs organized a group of fabulous sponsors and mailed out a darling kit of supplies. Yes, this is a sponsored post as usual all of the opinions are my own and are not swayed by the sponsors in any way. 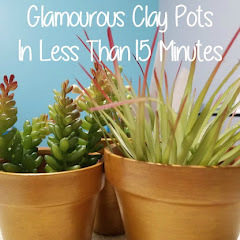 Did I mention there are many more bloggers and a Give Away included in this post? Please read the whole post and leave a treat for me in the comment section so I can thank you kindly. Thank you to each of the sponsors for making the 2015 Popcorn Contest possible. Without your support bloggers would not have the funds to create so many beautiful pieces, products, and designs. That being said when a sponsor supports me I like to support them when I believe in their products and company value. Please visit use or create something fun with our sponsors today because they quite simply rock the industry. I love how the Pup Corn Treat turned out. I made a birch stick out of scrap paper leftover from another project. 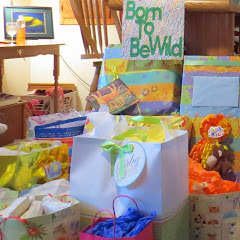 Then I strategically placed the colored sign Sizzix Laura Kelly Designs provided to look like Stick or Treat. I made felt candy corn with the Kunin Group Felt. 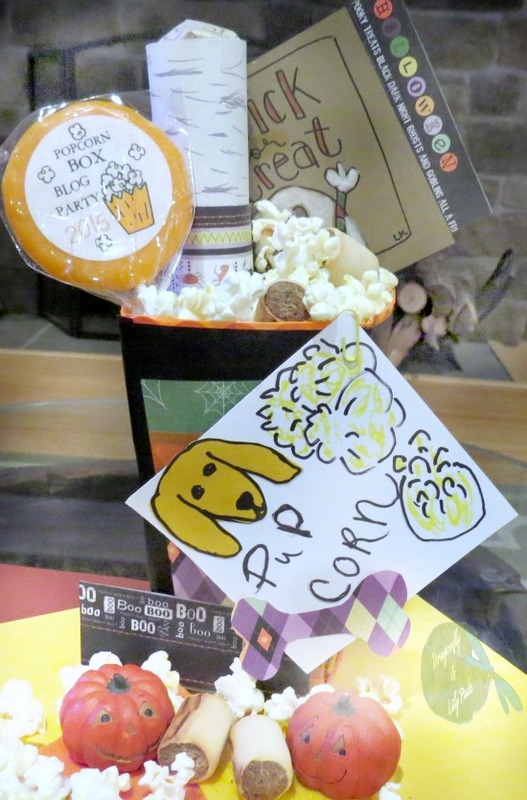 Scotch 3M Washi tape in orange and black is stripped and used as trim all over the World Market popcorn box. The Adorn It paper is cut to shape around the entire box plus the darling argyle plaid bone is hand cut from their paper. I also cut the paper into strips to decorate the stick, accent the picture and taped the Halloween paper to the Stick or Treat sign. 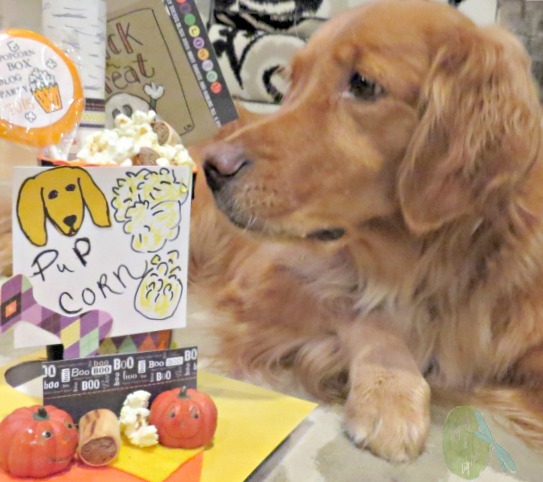 I drew my own simple puppy on golden paper then glued it to the popcorn and Pup Corn sign I made on the back of one of the papers in the kit. It was adorable but, did not fit my theme. 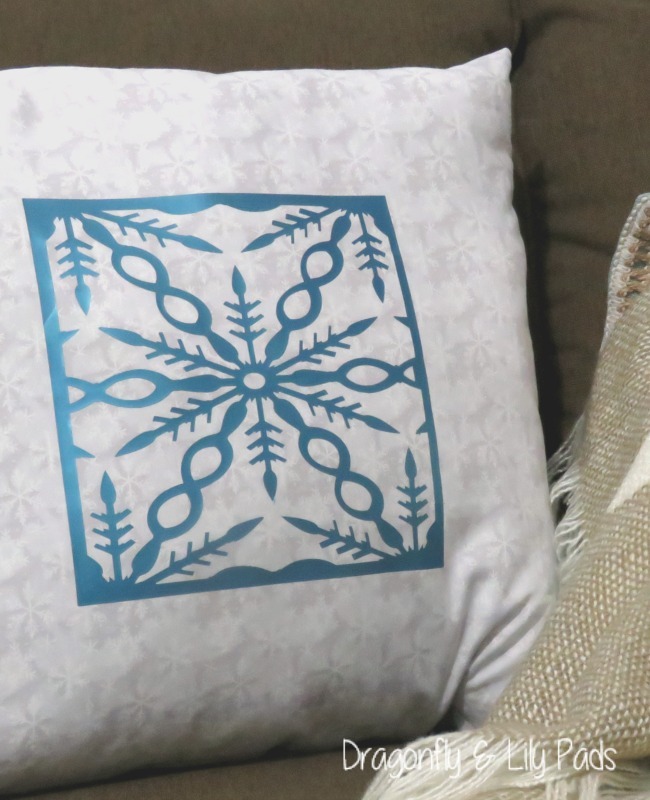 I did want to honor Laura Kelly Designs by making my design similar with my twist because, I love her work. Now if you know my blog I have one rule about recipes I have not broken in two years. NO Recipes unless it is for mixing paint, creating a dye, or aging wood. I do not do food. 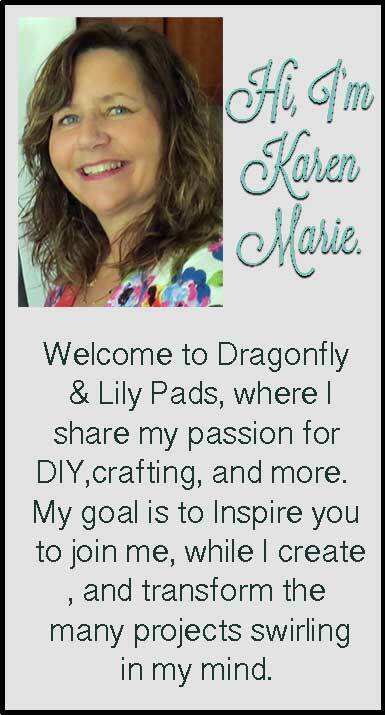 I love food and share many of your recipes on my Facebook Page Dragonfly & Lily Pads but, never here on the blog. Since this is a special occasion I am making an exception. After all it is for Halloween and Cricket. What to buy or have in your pantry? Popcorn my favorite is Microwave, and Dog Treats. Cricket loves the Pedigree Marro Bone. These are both healthy snacks for your dog. Our dog is 63 lbs. so this is a small treat for her size. 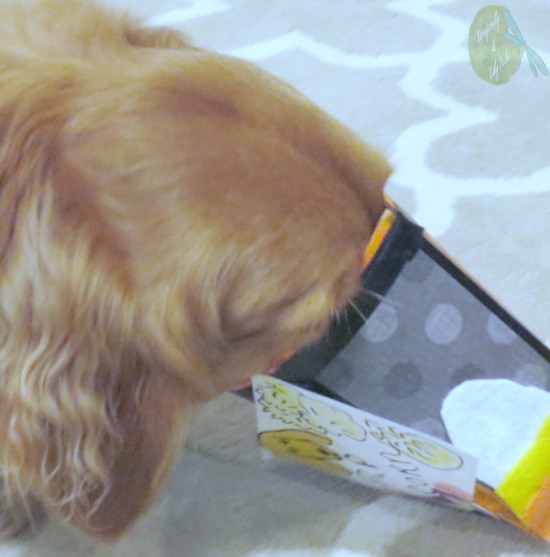 You should take size into consideration for your pet treats to keep them healthy too. Yes, she was a patience, girl. Can you believe she waited and posed for several pictures before she was given her early Halloween Treat? I think she loved her Halloween treat and her patience was rewarded. Please follow the Links below and share what you have been inspired to create. As always I love to read your comments, so don't forget to write! Fly along my blogging journey with me by clicking on the words of the links below. Please click on the title below to see the post. You are so sweet to stop by with a note. Thank you. I do love my little girl.